Do you love listening to streamed music? Don’t know what apps you can use to get the job done? 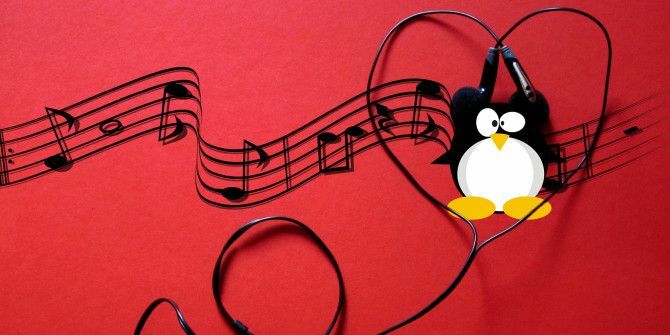 We show you the five best Linux applications you can use to listen to online music. Best of all, we don’t discriminate between different kinds of streamed music — this list takes care of them all. Did you know that Spotify has a native Linux client that you can use right now? In fact, there are two different options you can use — the native client which is in beta (but still works amazingly well), or the Windows client with WINE (which is supposed to work but I don’t like using WINE unless absolutely necessary). Either way, if you’re a Spotify subscriber, you can use either method to get Spotify to stream directly to your desktop without the need for their browser player. The only complaint that I have with the Spotify client is that it isn’t optimized for HiDPI displays, so those users may actually want to resort to the browser player to save their eyesight. If you don’t have a Spotify subscription, don’t worry! Atraci has you covered with its ability to play any music on-demand for free Atraci Offers 60 Millions Songs For Free Without Ads Atraci Offers 60 Millions Songs For Free Without Ads Can't find a particular song on Spotify or Rdio? Try Atraci, a Windows, Mac and Linux music player powered by YouTube with no ads and no need to sign up for an account. Read More by using YouTube as its source. This app also hasn’t quite hit version “1.0”, but it is stable enough to use; it just doesn’t yet have all of the features that it plans on having. Atraci is easy to get and easy to use — you can even create playlists so that it’ll be easier to find songs. Searching using Atraci isn’t quite as easy as it is with Spotify, but you can make life a bit easier by creating artist or album playlists. Now that we’ve covered on-demand streaming, what about the other major music streaming source: Internet radio. Rhythmbox, best known more as the go-to application for managing your music library Play & Manage Your Music Collection With Rhythmbox [Linux] Play & Manage Your Music Collection With Rhythmbox [Linux] Music is a way of life for a lot of people, and their music collections often reflect that to a massive degree. We all enjoy our music, and should be able to keep tabs with... Read More , can also play and save your Internet radio streams. Most Gnome-based distributions use Rhythmbox, so there’s a good chance you already have it installed and can get straight to using it. Banshee is another great application to use for Internet radio Banshee 2.0 – A Comprehensive Media Player, Streamer & Podcast Tool [Linux] Banshee 2.0 – A Comprehensive Media Player, Streamer & Podcast Tool [Linux] The Banshee media player was first released in early 2005 and has since come on leaps and bounds. Probably the closest thing Linux has to iTunes, Banshee comes with an integrated music store, Internet radio,... Read More , as it can add your favorite Internet radio stations for easy access. The only downside to Banshee is that not a lot of distributions include it by default, and it also uses the controversial Mono framework (which is inspired by Microsoft’s .NET Framework and is therefore potentially in legal troubles). For both Rhythmbox and Banshee, be sure that you have all the necessary GStreamer plugins installed so that you’re able to listen to your favorite stream, no matter what format it uses. If you have any doubts or notice that it’s not playing in either app, you can launch the stream using Totem (sometimes called Movie Player), which should prompt you to automatically install the relevant plugin package. Last but not least, there’s VLC. It’s the ugliest from the whole lot and it doesn’t really do any organizing when it comes to your music and streams, but it plays everything. So long as you don’t mind visiting the relevant site every time you want to listen to the stream or downloading the stream file (sometimes it’s a .pls file) and saving it somewhere, VLC is a fantastic option as it’s flexible in terms of the large amount of formats it supports, and reliable in that it keeps a stream going longer than any other app I’ve tried. VLC’s approach may not necessarily be for everyone, but it’s great for those who do prefer it this way. What Do You Use To Stream Music? So there you go — there are five different apps that work beautifully for streaming music. While you can get Spotify and VLC on other operating systems, the other three are Linux exclusives, and I’m glad that they exist. Be sure to check them all out if you’re interested. What’s your favorite way of listening to music? How do you stream music on Linux? Let us know in the comments! 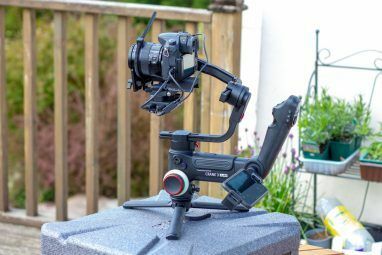 The One DSLR Accessory You Should Buy: Zhiyun Crane 3 LabRun Legacy Applications & Games On The Raspberry Pi! I like to use deezer.com. It is supposed to stream ads, but i haven't ever heared any. I'm a big fan of Clementine, especially with Soma FM integration. cvlc will stream from command line or shell scripts. Pianobar is a Flash-Free Pandora Player Inside Your Terminal.... try it! It's awesome. Tomahawk (gettomahawk.com) to combine all my streaming sources and share with friends that use other services. Rhythmbox for local stuff, Spotify Web Player for Streaming music I do not want to buy. And VLC to playback any media file I want.